Venture REI is dedicated to helping you sell your apartment building at the highest value, in the shortest amount of time, and with the least hassles. Our licensed brokers and agents can assist you with all aspects of your property sale. Your apartment building will receive the broadest exposure on LoopNET, CCIMRedex Network, our exclusive websites, and other marketing avenues. Venture REI is networked to tens of thousands of commercial real estate professionals locally, nationally, and internationally, to give maximum exposure to sell your apartment complex. 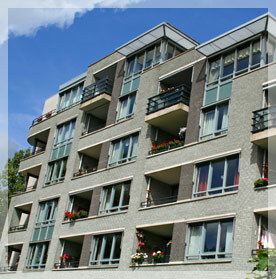 Let us market your apartment building for sale. We have a professional and dedicated staff that will work on your behalf and keep you updated on a regular basis. Often apartment building sales are sold off-market. That is, the seller and the buyer create a transaction that has no sales price or real details on the sale recorded anywhere. By working with us, you get private sales data to work with and the best tools to price and sell your apartment building.